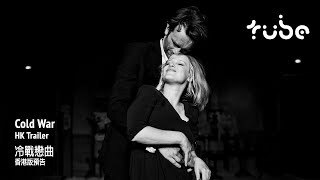 Cold War is a passionate love story between a man and a woman who meet in the ruins of post-war Poland. With different backgrounds and temperaments, they are fatally mismatched and yet fatefully condemned to each other. Set against the background of the Cold War in the 1950s in Poland, Berlin, Yugoslavia and Paris, the couple are separated by politics, character flaws and unfortunate twists of fate - an impossible love story in impossible times.